Every donation helps very much! Rider tuition only covers a small portion of what it takes to deliver our Riding Programs. We are in constant need of financial and in-kind donations as well as human resources to enable us to provide high-quality services for our riders. 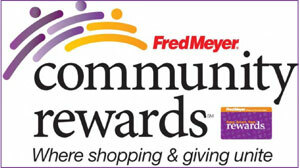 There are many ways that you can help support the Bright Horizons community. $2,500 will take care of an individual horse's expenses for a full year. Upkeep includes farrier services, hay and grain, nutritional supplements and veterinarian services. Partial sponsorships are available. Many of our riders are limited by their ability to afford the tuition for each session. We have a scholarship program for income eligible riders and you can sponsor an eligible rider for a session or a full year. Enhance someone's life with your generous donation. This is your chance to work with the horses and riders directly or contribute away from the barn if you prefer. Either way, volunteers are an essential part of Bright Horizons. Learn more about volunteering. Click image and shop Amazon. A donation of any size (along with the sentiments that accompany it) is ALWAYS appreciated by the entire Bright Horizons family. As you can well imagine, the costs associated with a special needs adult or child can be daunting. Sponsoring a rider for a full (or partial) session will allow you to help enrich the life of a person that our organization might not otherwise be able to serve. This covers the costs of orchard grass hay for our horses for approximately six full months. Sponsorships of this nature are particularly important, and appreciated, as they allow us to make bulk purchases at discounted prices. This covers daily hay, grain, bedding, nutritional supplements, farrier and veterinarian services, etc. for a single horse for a full year. 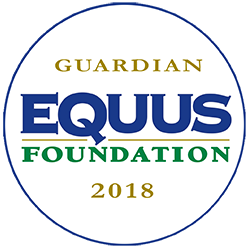 Each person or organization that sponsors an individual equine therapist receives the following: a plaque on the horse's stall acknowledging the important contribution you've made to our program; periodic updates on the activities that your sponsored horse is involved with; and a chance to visit our facilities for an in-person introduction to your new equine friend. This covers daily hay, grain, bedding, nutritional supplements, farrier and veterinarian services, etc. for all of our horses for a full (52) weeks. Not to mention that a "dedicated donation" such as this allows us to focus our attention on further developing our program - comfortable in the knowledge that the needs of our equine friends have been met in advance. 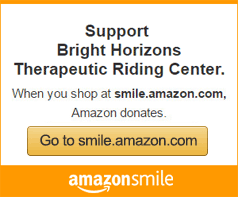 Each and every rider that participates in a Bright Horizons program is partially subsidized by the organization. 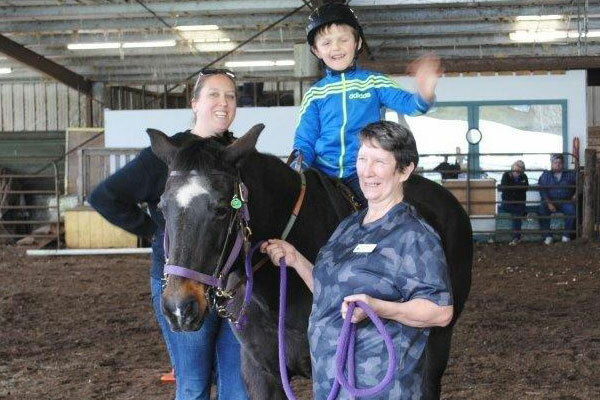 This is simply the nature of a therapeutic riding center. A donation of this level would allow Bright Horizons to continue offering a broad range of programs to our ever-growing rider population. A donation of this size would allow Bright Horizons to devote all of its subsequent yearly funding support to: further improving our facilities (to better serve our riders), increasing our ridership levels (which would increase our degree of self-sufficiency), retiring several long-term financial obligations (debts associated with our initial start-up efforts), as well as increase our community outreach efforts (fund raising and awareness efforts). Bright Horizons is a registered 501(c)(3) organization. Donations to the organization are deductible to the fullest extent of the law. Please confer with your tax advisor as it pertains to your specific situation. We gratefully accept any and all cash or in-kind (materials, feed, grain, etc.) donations. You can send a check or visit us on Facebook and use Paypal, there or below, to send your tax-deductible contribution. Donations to BH are tax-deductible.